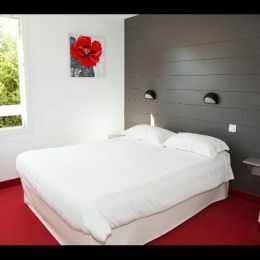 Discover our promotional offer “Bougez”* for athletes! 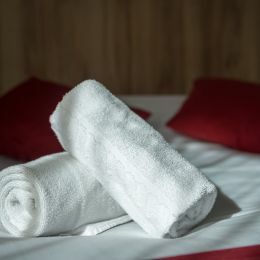 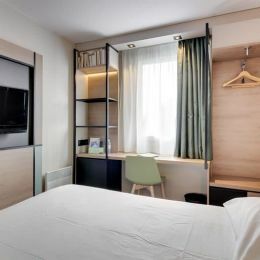 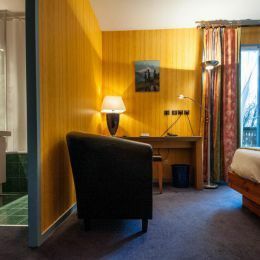 Brit Hotel support athletes thanks to unbeatable rates: book a double room for 18 or 25 euros per person if you’re traveling for a sport event. 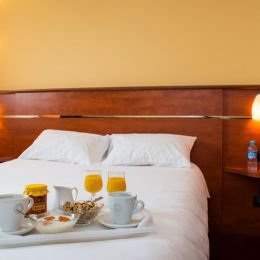 This discount applies to athlete and staff members, from coaches to referees, doctors and journalists, no one is left out! 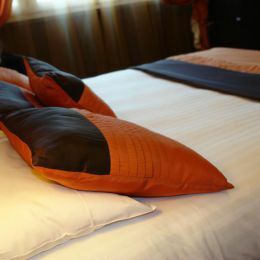 Our offer is also available on weekends and national holidays. 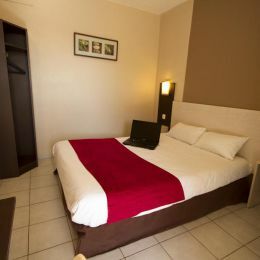 To enjoy the “Bougez” discount, present your valid sport license and a notification to attend a sport event upon your arrival. 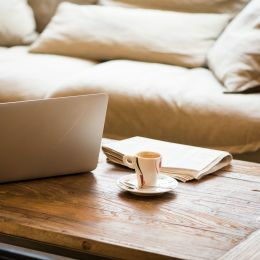 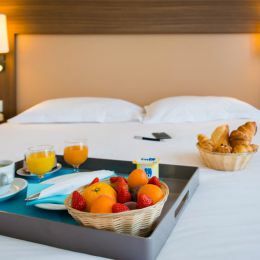 Don’t wait anymore and book your stay online! 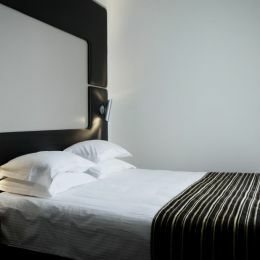 Enjoy the comfort of our Brit Hotels for an optimum preparation before D-Day! 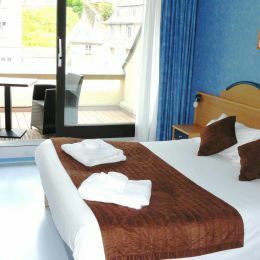 The Brit Hotel Le Bran'hoc is located near the port of Saint Goustan Auray. 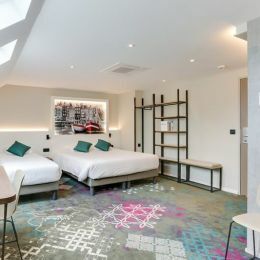 This hotel has 29 rooms. 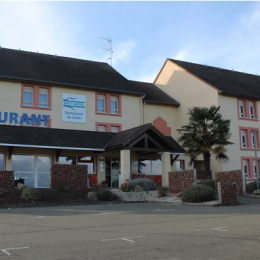 The Brit Hotel Armor is located in Guingamp. 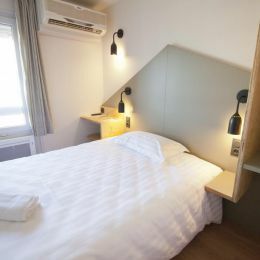 This hotel has 23 comfortable rooms. 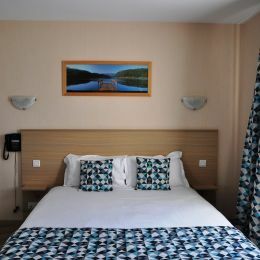 The Brit Hotel Aux Hortensias, located in Lannion, has 16 rooms. 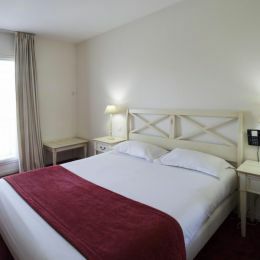 The Brit Hotel Le Bosquet, located in Carcassonne, has 27 fully renovated rooms. 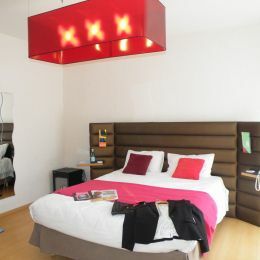 The Brit Hotel Bosquet is a 2-star hotel with 29 completely renovated rooms. 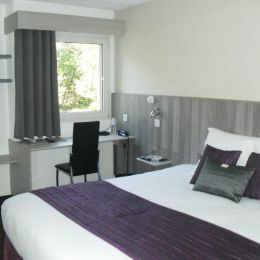 The Brit Hotel La Côte Des Havres has 29 comfortable rooms. 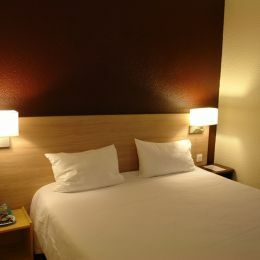 and recently rated 3-star hotel. 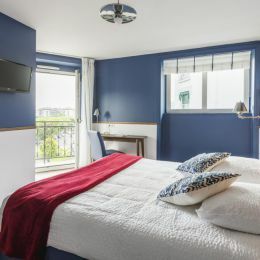 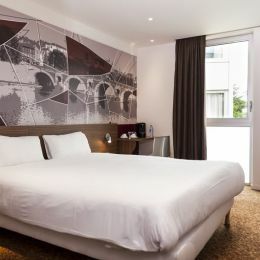 The Brit Hotel La Croix Blanche is located in Sainte Anne d'Auray, near the Gulf of Morbihan. 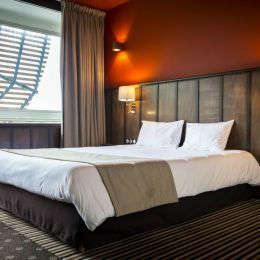 This hotel has 27 rooms. 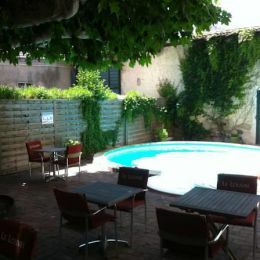 The Brit Hotel Le Clos St Martin is a charming 3-star hotel located in the heart of the old town of Sancerre. 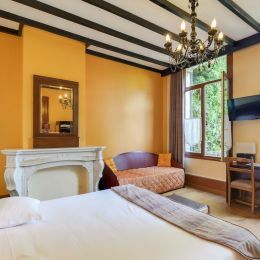 It has 41 rooms, completely renovated in 2017. 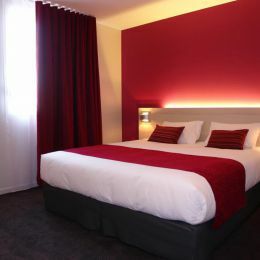 The Brit Hotel des Halles is located 100 m from the port of Concarneau and 300 m from the Convention Centre. 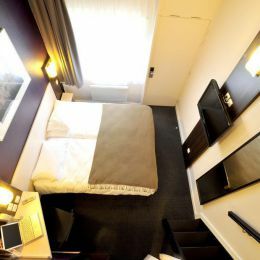 This hotel has 25 rooms. 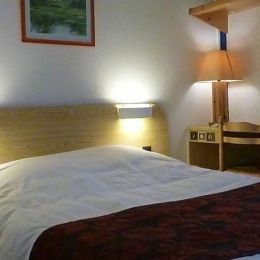 The BRIT HOTEL Nogent-le-Rotrou is close to Perche Natural Park. 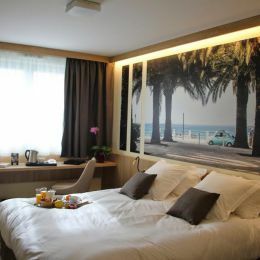 This hotel has 40 rooms. 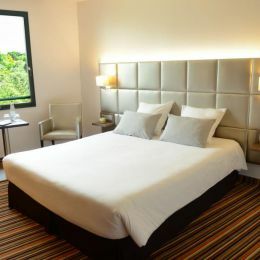 The Brit Hotel Golfhotel located in Pleumeur-Bodou, has been completely renovated. 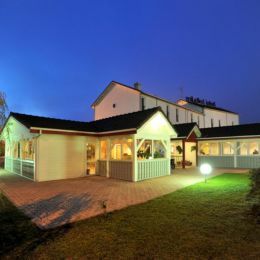 This hotel/restaurant has 50 fully equipped rooms, a swimming pool and a golf course. 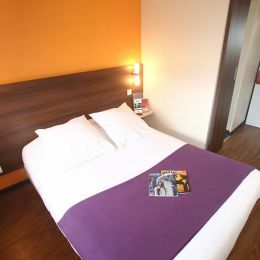 The Brit Hotel Iroise has 43 comfortable rooms. 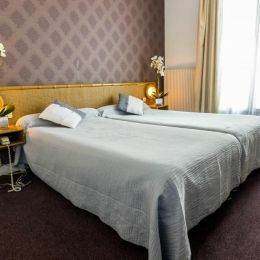 The Brit Hotel Le Kérodet is a 52-room hotel, located in Quimper. 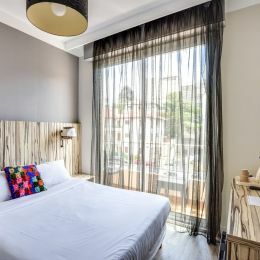 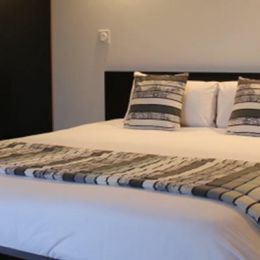 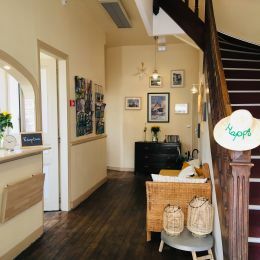 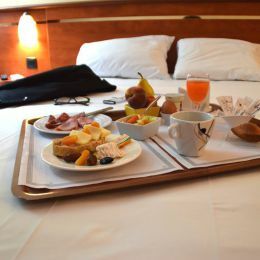 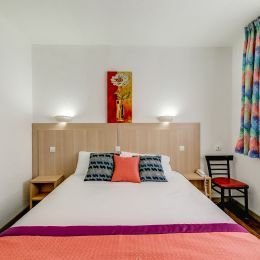 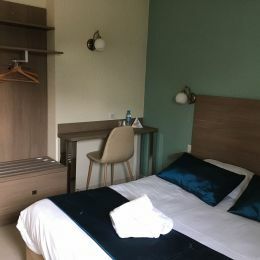 Located 300 metres from the port of Pornic, 500 metres from the city centre and 800 metres from the Thalassotherapy centre (seawater spa) and the beaches, the Brit Hotel Les Alizés has 29 comfortable rooms. 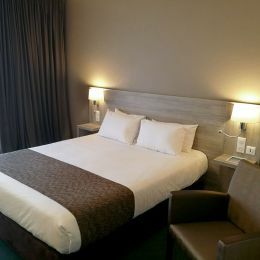 The Brit Hotel Beaulieu is located just 5 minutes from Poitiers city centre. 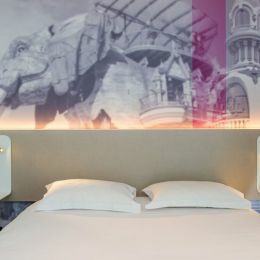 This hotel has 69 rooms and a traditional restaurant. 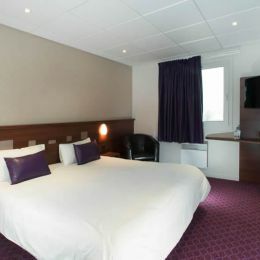 The Brit Hotel Olympia was completely renovated in 2009. 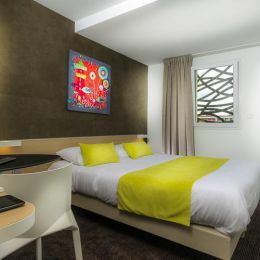 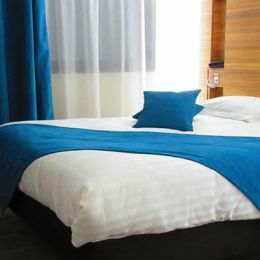 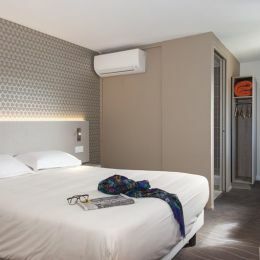 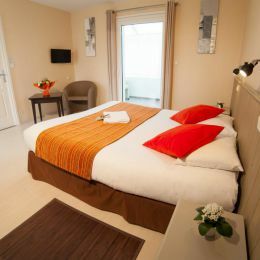 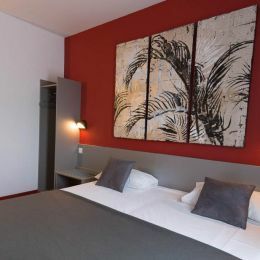 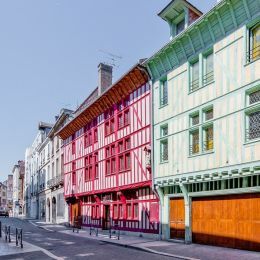 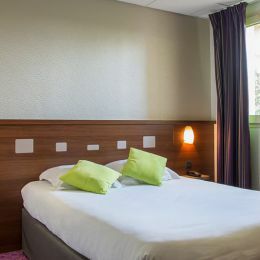 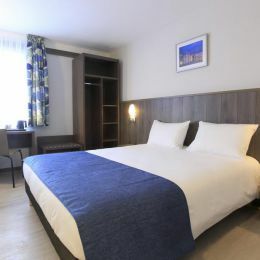 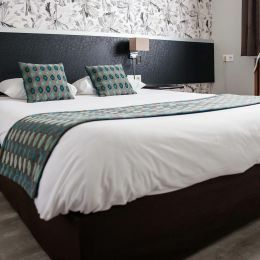 This hotel, with its 44 air-conditioned rooms, welcomes guests to the city of Bourges. 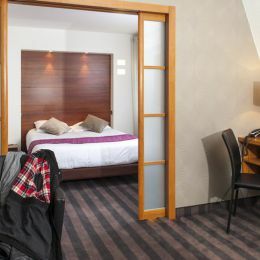 The Brit Hotel Au Grand Saint-Jean is located right in the city centre of Beaune. 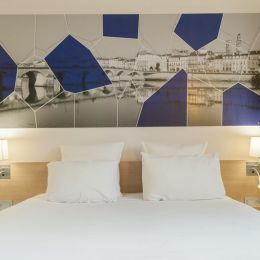 This hotel has 102 rooms. 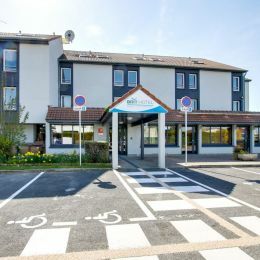 The Brit Hotel Azur, located in Cholet, has been open since 1 May 2010. 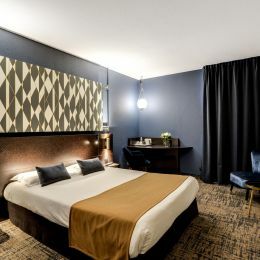 This hotel has 29 rooms. 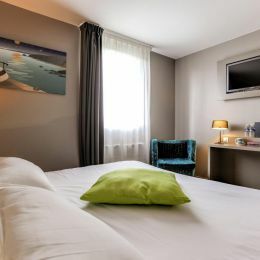 The Brit Hotel Chambéry welcomes guests in a modern and comfortable setting. 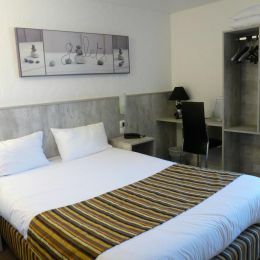 The hotel has 36 air-conditioned rooms as well as a restaurant. 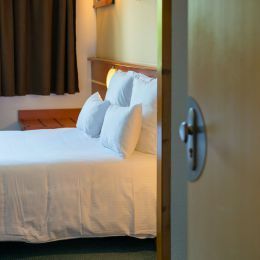 Res: Open from Monday to Thursday only in the evening from 7pm to 9 pm and the Friday evening following season. 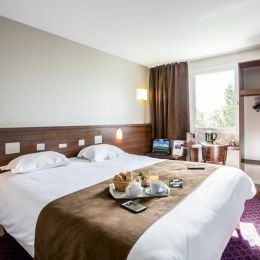 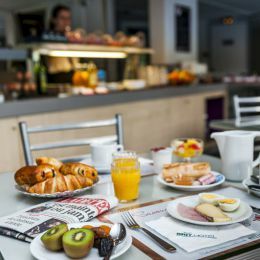 The Brit Hotel La Bonne Étape in Evreux welcomes guests in a friendly atmosphere. 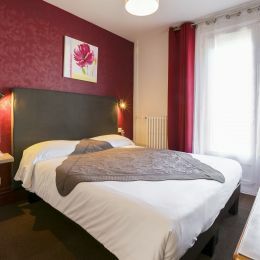 Discover our comfortable hotel with 53 rooms in Montargis . 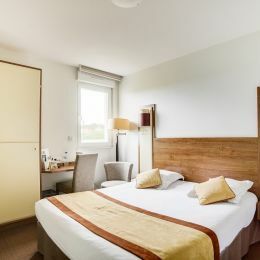 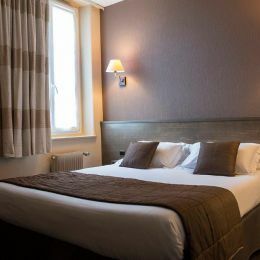 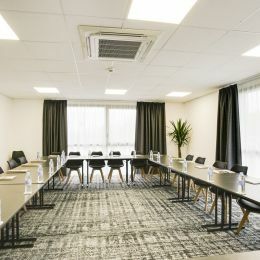 The Brit Hotel Fleur de Rhuys Vannes Theix offers 40 modern and comfortable rooms, two meeting/conference rooms and a traditional restaurant. 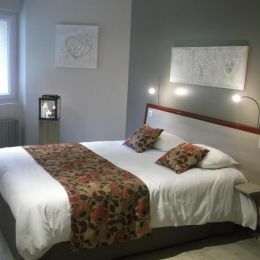 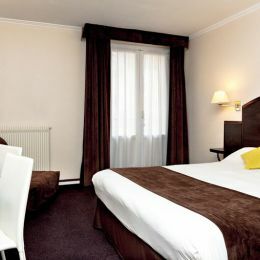 Book your room now at Brit Hotel Albi. 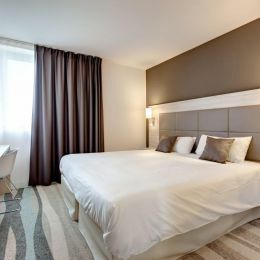 Discover the Brit Hotel Parc Azur Toulon composed of 49 chambrs comfort. 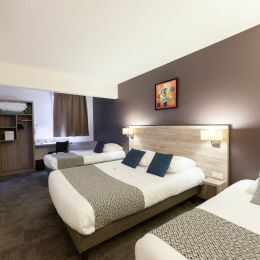 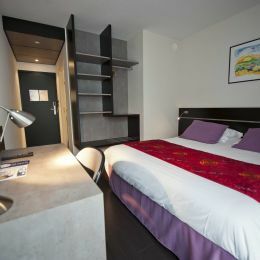 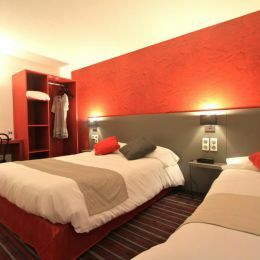 Check out our 25-room hotel in Brive. 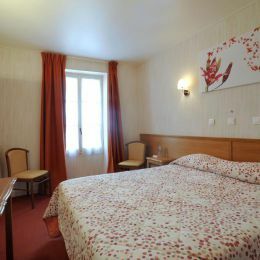 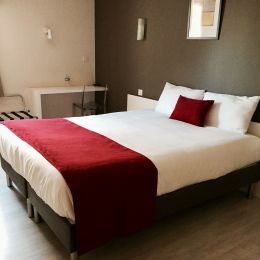 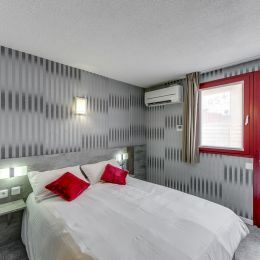 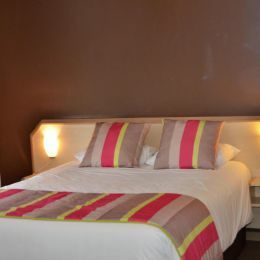 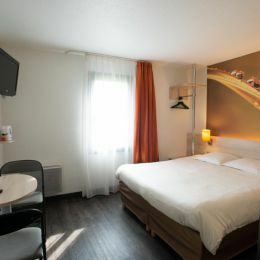 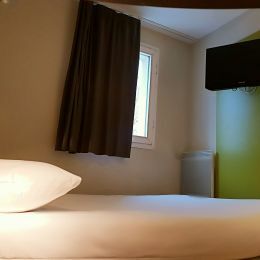 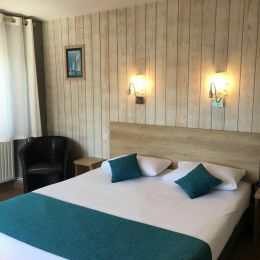 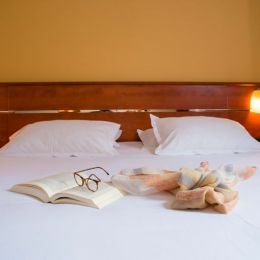 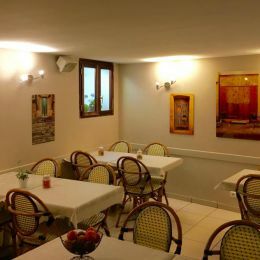 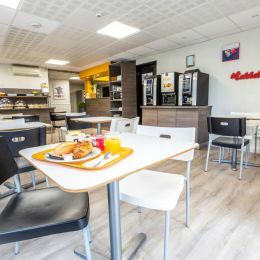 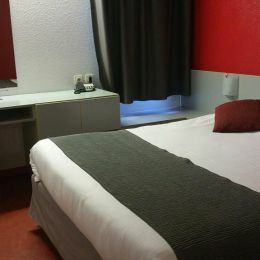 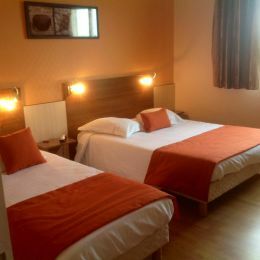 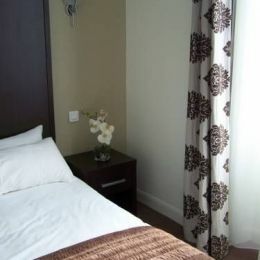 Book in our comfortable hotel in Saint-Dizier ! 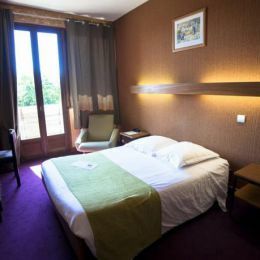 Discover our comfortable hotel with 24 rooms in Thouars. 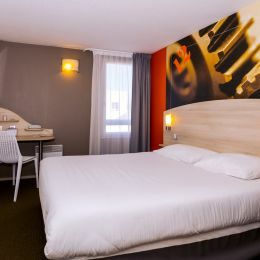 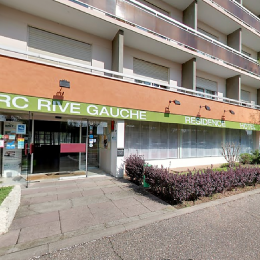 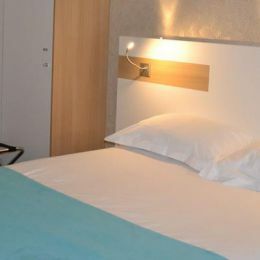 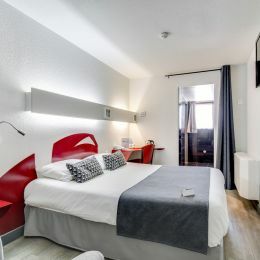 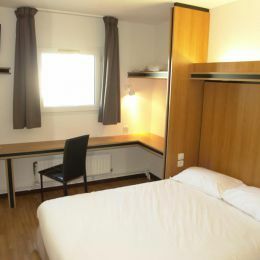 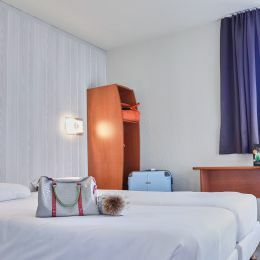 Book your room near Grenoble railway station in our 63-room hotel. 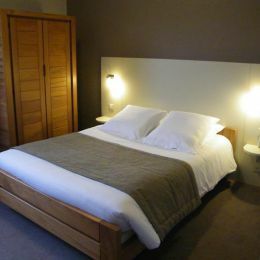 Discover our 31 room hotel in Guéret.